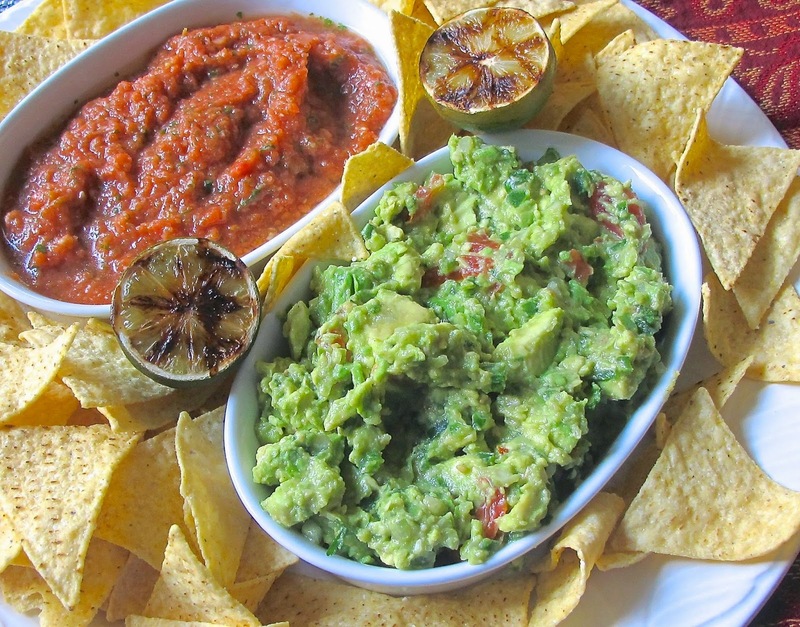 What goes best with salsa and chips? Guacamole! Grilling the limes brings out the juice. 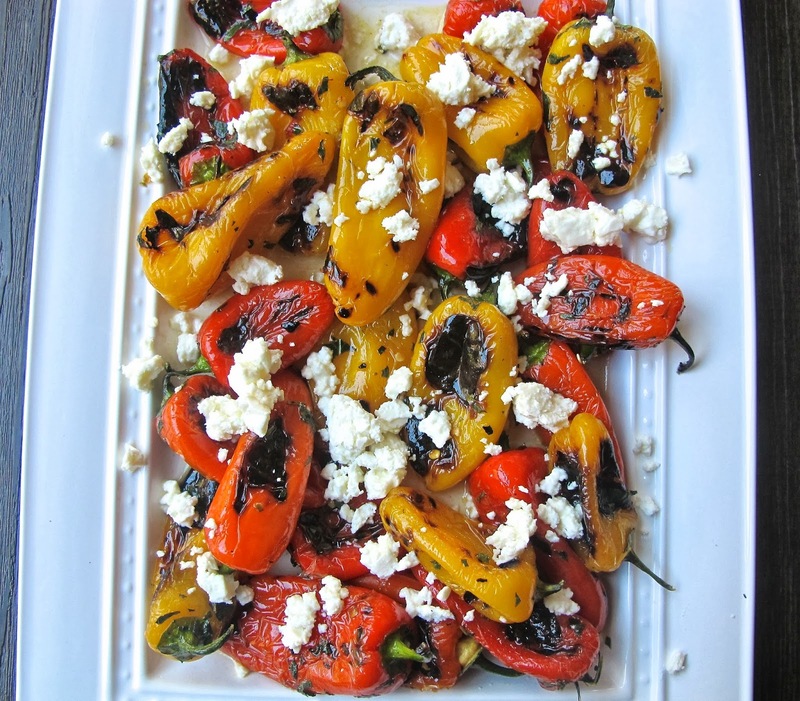 In a mixing bowl, combine onion, tomato, Jalapeno, garlic, juice of 1 lime and cumin. Allow to sit until just before serving. Add avocados and hot sauce; stir until just combined, you want to keep it chunky. Season with salt and pepper, and check seasonings, add more hot sauce or lime juice if needed. 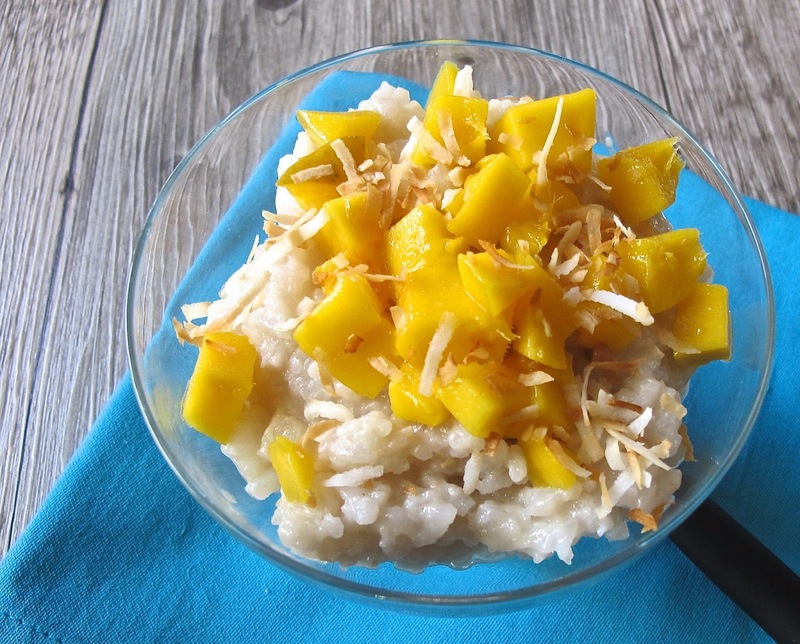 Creamy rice pudding is delicious with fresh, sweet mangos. I prefer it served warm but could also be chilled. In a saucepan over medium heat, stir together coconut milk, vanilla, sugar, and water until sugar is dissolved. Add rice and salt, stirring until comes to a boil, lower heat and simmer uncovered. Stir frequently, about 40 minutes until rice is cooked. Top with mango and toasted coconut. 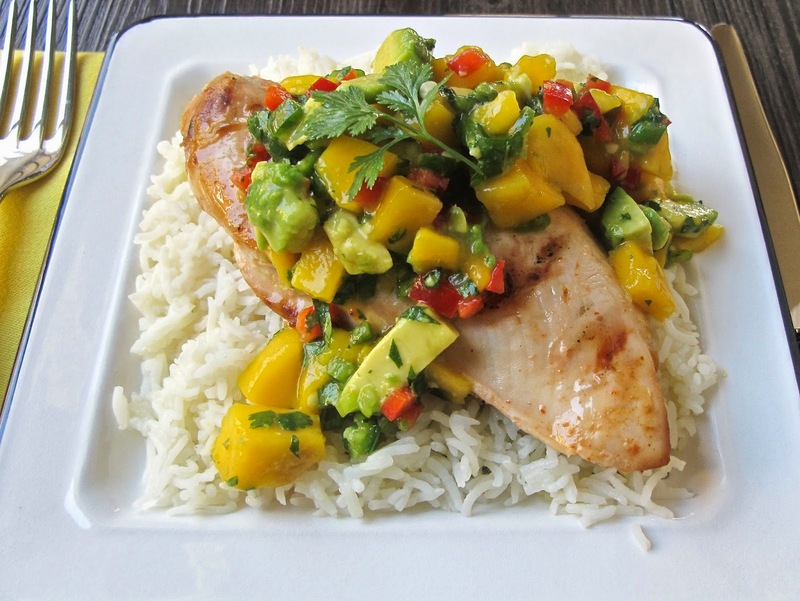 Mango salsa is so good by itself with some corn chips, over grilled chicken, or fish (like halibut). I was making it to use with the grilled chicken and putting the brakes on everyone wanting to scoop it up with tortilla chips before hand. alapeno, lime juice, cilantro, and salt. Stir well to combine. Allow to sit for all the flavors to meld. Just before serving add the avocado and stir again. On Valentines Day we had a wait at the Portland airport, so we stopped and had a leisurely lunch. Bake ordered a Bloody Mary and to tell you the truth, I have been obsessing about it since! It is not about the vodka, for me it is the accouterments. 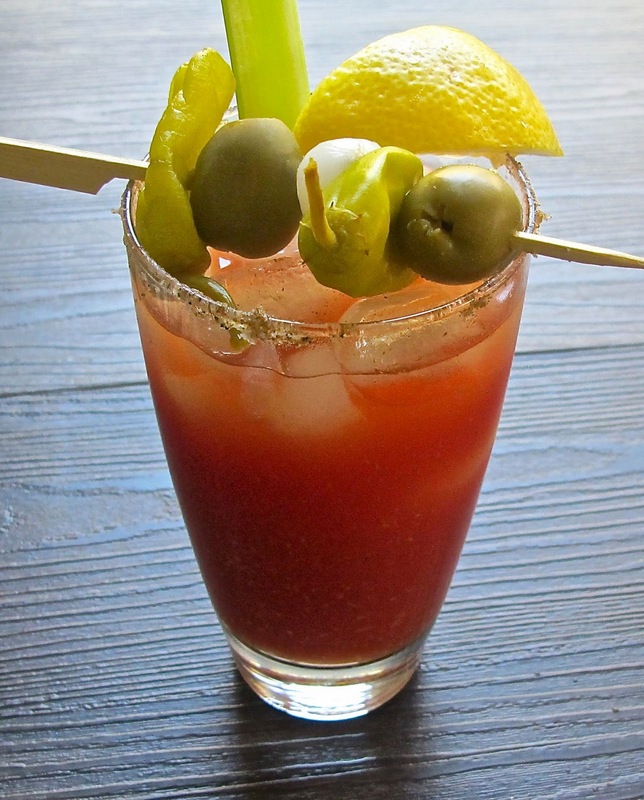 The garnishes of olive, peppers, onions, pickles and any variety of them, along with the spice in the tomato juice. On a personal note, the Bake has a big birthday today; the world is a little bit brighter and we are a little more blessed with him in it, Happy Birthday to the love of my life. Cheers! Fill a shaker with ice and add tomato juice, hot sauce, Worcestershire sauce, horseradish, celery salt, pepper and lemon juice. Shake well and pour over rimmed glass filled with ice. 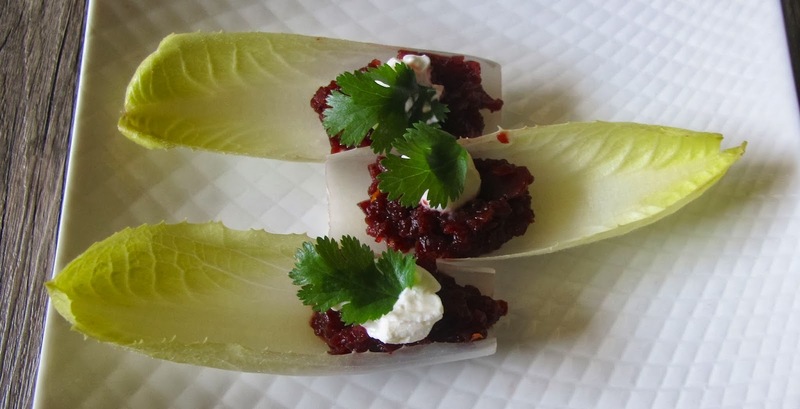 Garnish well and add celery stir stick. To participate in the festivities, we have gone green. the fresh Parmesan creates a "creamy" soup. In a large saucepan over medium-low heat, melt 2 Tablespoons of butter and add shallots. Cook until softened, about 3-5 minutes. Add the wine, raise the temp to medium-high heat and cook until wine has almost evaporated. Add the stock and potatoes and bring to a boil. Lower heat to medium-low and cover, simmer until potatoes are tender (about 6-8 minutes). Add the peas, cover and cook until heated through, about 2 minutes. 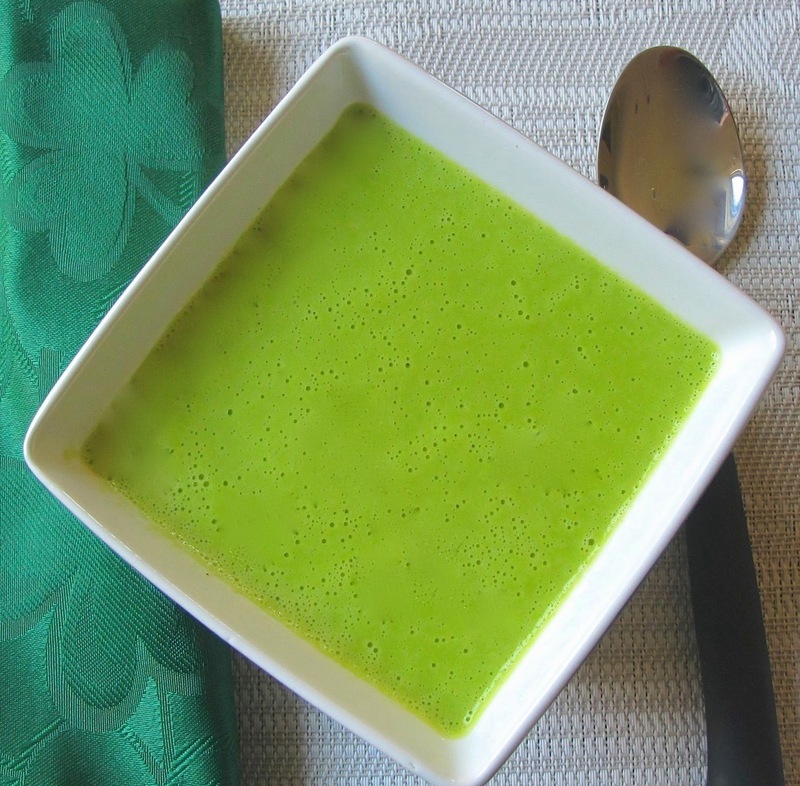 Remove from heat and and blend in blender or immersion blender until smooth. Place soup back over medium-low heat; add Parmesan, 1 Tablespoon butter, and pepper, stirring until melted. Here is another dish for Meatless Monday, these "steaks" along with a salad and dinner is complete. Wash the cauliflower and remove the outer leaves. Trim the base so that it is level. Cut the cauliflower in half from top to bottom; then cut those halves into thirds keeping the stem intact. Drizzle olive oil over a foil lined baking sheet. Arrange the cauliflower steaks in a single layer and sprinkle with Alfie's seasoning. Bake for 15 minutes, (they should be browned) and then turn with a large spatula. Bake another 15 minutes, check to see that the cauliflower has caramelized and is tender. Squeeze lemon over top and sprinkle with Parmesan, cook another 5 minutes. 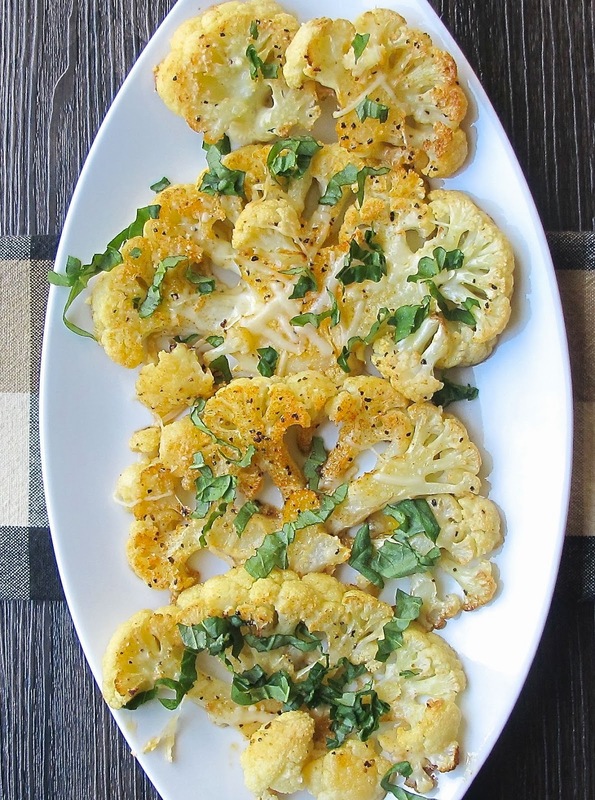 Remove from oven and top cauliflower with basil. 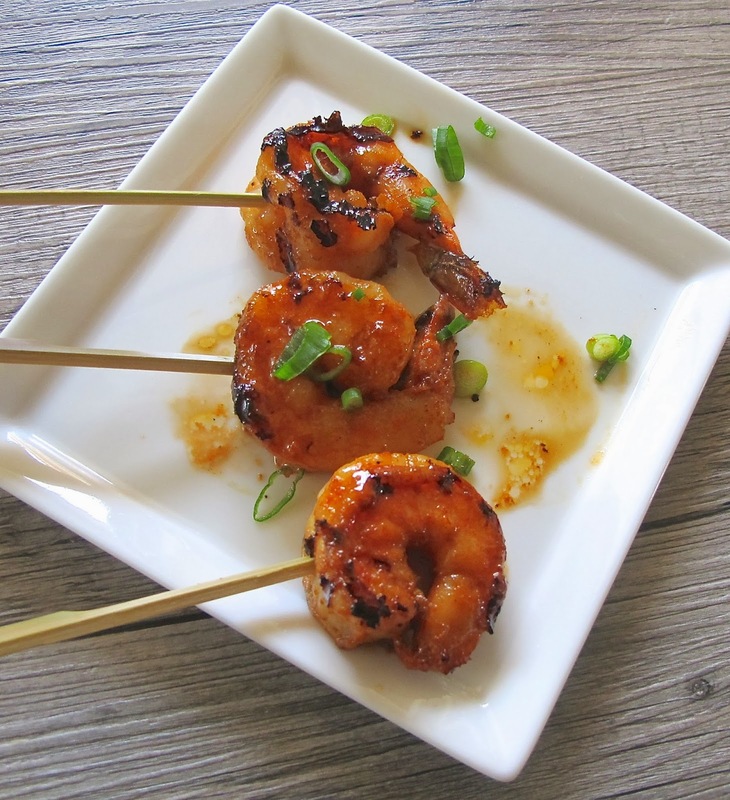 Spicy shrimp can be served thread onto skewers, on top of pasta, or salad. These were served with individual picks as an appetizer. In a large bowl, whisk together butter, vinegar, soy sauce, anchovy paste, garlic, and sriracha until well combined. Set aside 1/4 of sauce. Add the shrimp and marinate an hour. Heat a grill pan over high heat and grill shrimp about 1 minute on each side. Remove shrimp to serving dish. Drizzle with remaining sauce and sprinkle with onions.